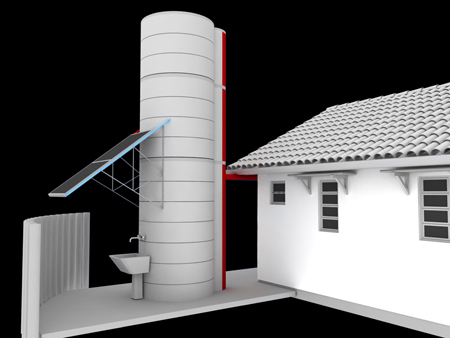 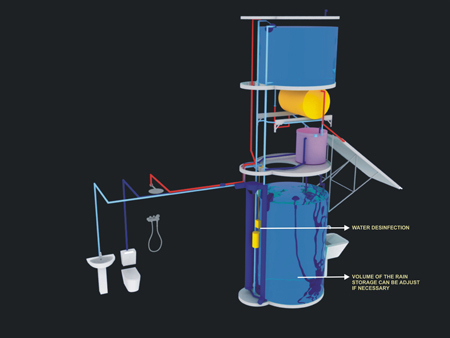 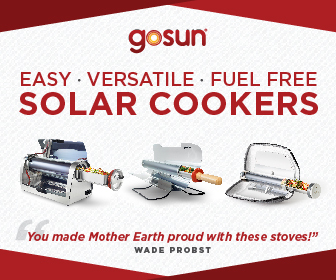 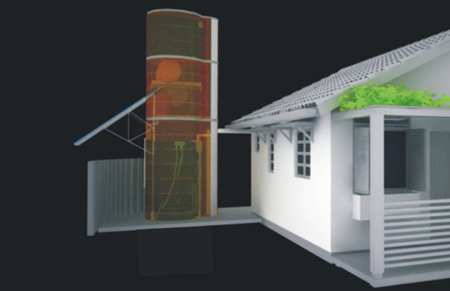 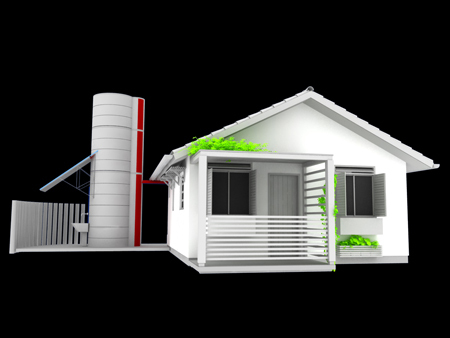 Answering Brazil’s housing deficit is the creation of the Solar Water Heating and Rainwater Tower. 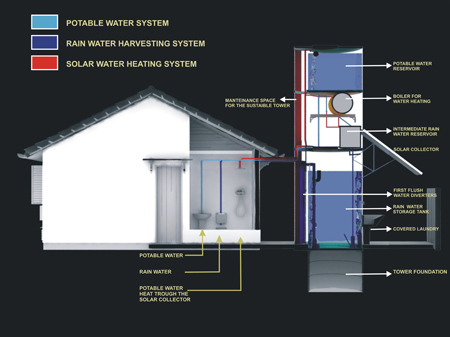 The sustainable water uses rainwater to supply drinking water and heated water that are clean and requires low maintenance. 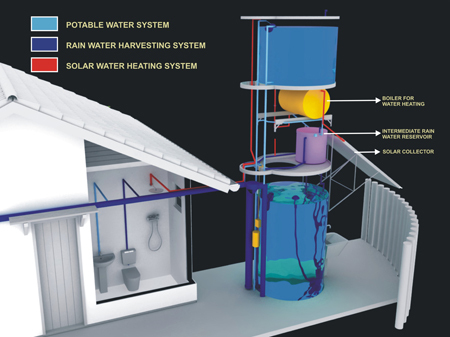 With the sustainable tower, low-income families can now have the chance to avail clean and safe water and cheaper access to basic residential needs, thus minimizing economic drain. 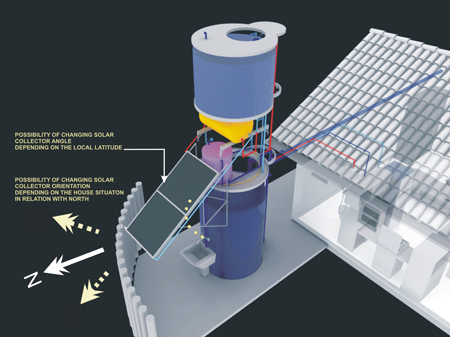 The tower is also transferable and can be used in both existing and newly built houses. 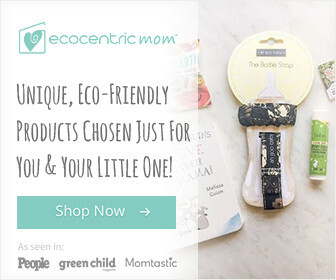 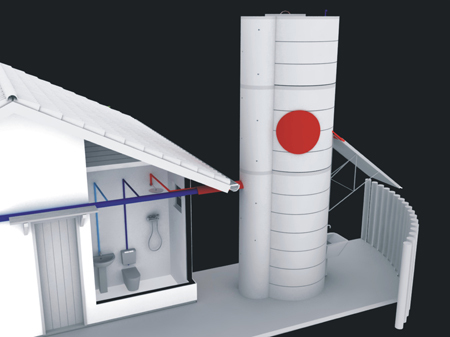 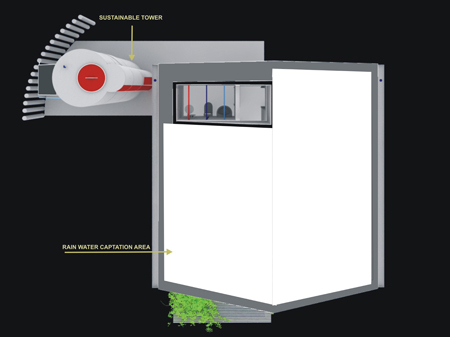 With the main purpose of the tower, which is the ability to use renewable energy and rational use of water, water conservation can now be easily promoted.